​HIMLEY captain Greg Wright has praised last week's Black Country Floodlit T20 contest as the best yet. Himley won this year's competition after beating Brewood by 68 runs. Tom Kohler-Cadmore smashed 72 off 24 balls before team-mate Stuart Wedge took five wickets. Greg went on to say: "This years Black Country Floodlit T20 was the best one yet. We saw some great cricket and had great support from those that attended". 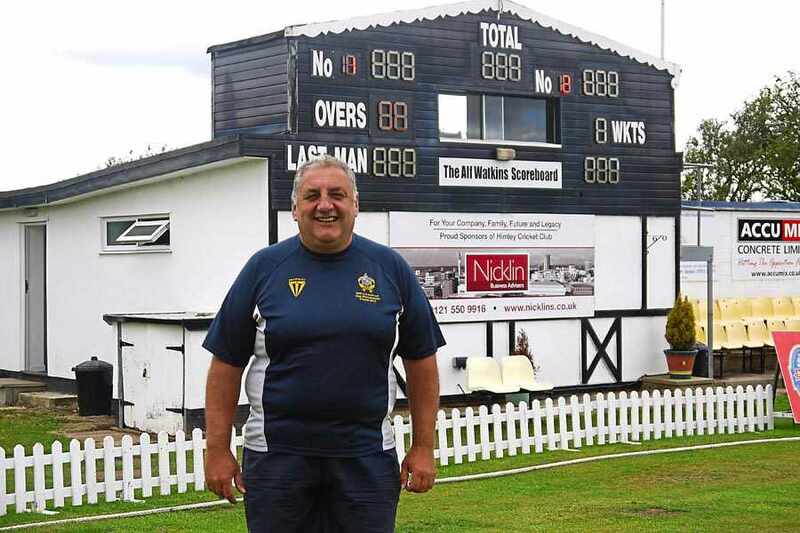 Club Chairman, Gordon Lewis can look back with great pride as he celebrates his 20th year as chairman at Himley Cricket Club. But you get the impression that the summer of 2015 will give him more satisfaction than any other. Read more here.. The 1st team will be playing Droitwich in the semi final of the Worcestershire T20 Canterbury Cup semi final at Himley on Monday 3rd August 6.15pm start. Entrance is free and there will be the usual T20 atmosphere. The final will be played at New Rd Worcester (date tbc). ​Best of luck to the lads and we hope you will be able to come and support the team. 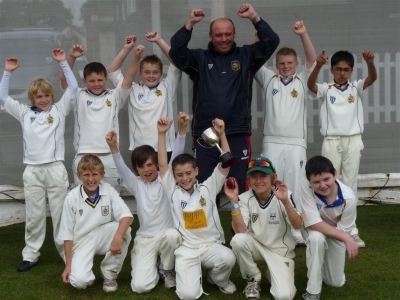 ​On Sunday the 19th Himley Under 9s won the 2015 Softball title at Stourbridge cricket Club. The Softball Competition started at the beginning of May with 20 teams entered on a group basis with the four qualifying group winners playing each other on Sunday. Himley’s opponents were Enville CC, Ombersley CC and their own team mates as Himley had two teams in the Top Group. Himley ‘A’ won all three matches and the reserve team game meaning that out of the original twenty teams entered Himley’s teams finished first and third a remarkable achievement. Both teams now go on to play in the County Finals. 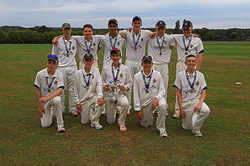 ​Thursday evening (9th July) saw the brand new Nat West T20 U19 competition begin for Himley Rockets with a trip to Cannock CC. The competition has been specifically designed to bring the razzmatazz of T20 cricket to clubs at a junior level, with coloured clothing, music, BBQs etc. Himley won the toss, on a slow wicket, elected to bat and collectively played too aggressively on a pitch and were all out in the 17th over for 93, where 110-120 was probably about par. Jim Abbs was elevated as the pinch hitter for the six over power play ...and hit one massive six, which shattered the scorebox “last wicket” glass panel. After 10 overs, Himley were 70-5, which was fine in terms of runs, but wickets continued to fall. Instead of batting sensibly to make sure Himley maximised their score off the last 10 overs, Himley continued to play “champagne” cricket shots, falling short of the allocated 20 overs, being all out three overs short. Cannock’s reply was sensible and measured, not trying to go “too big” in Powerplay and at 50-1 in the 9th over, the game looked all but over. However Himley were not down and out and came back in spectacular fashion. Good bowling from Adam Finch, Tom Wall and Dan Durman, cut through Cannock’s fragile looking middle and lower order, to bowl Cannock out for 72. Himley Rockets team Manager Matt Wall was delighted with the result and the outcome of the very first U19 T20 game, he says “Out of the couple of hundred junior games I’ve run over the years, this was right up there with Wolverhampton and Bromsgrove games in 2012; games won from almost impossible positions and illustrates the spirit and determination of players wearing the Himley shirt. The next matches in this competition are back to back games at Himley on 22nd and 23rd July, against Old Hill Strikers and Old Wulfs Titans. The club are looking for some volunteers, particularly from our junior section for a BBQ, music etc. Please contact Statto (Matt Wall) for further information. 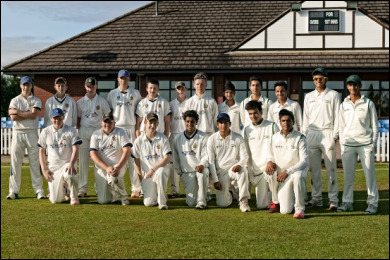 Himley Cricket Club welcomed two touring sides from New Delhi, India at their Stourbridge road ground on 2nd July. 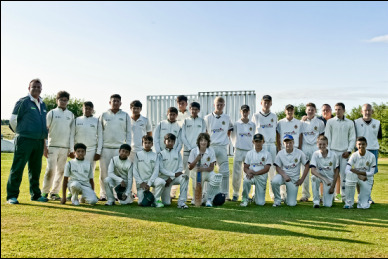 The sides from Turf Academy, Modern School Cricket Club featured two teams at under 15 and under 17 levels. Matches were played in the 15, eight ball over format, with the under 17 match played on Himley's main pitch and under 15’s on Himley’s bottom ground. The under 17 game proved to be tightly contested affair with Modern School batting first, openers A. Dabas and M. Bansai put on 32 for the first wicket with pick of Himley’s bowlers Dom Hipkiss having Dabas caught behind for 16. Wickets fell at regular intervals with two wickets each from Arunveer Bhogal and Euan Wentworth Modern School went on to score a total of 123 for 7 of their 15 overs. M. Bansai top scoring with 32. Himley started in similar fashion with Chad Brandrick and Dom Taylor putting on 31 before Chad was caught and bowled by G. Singh. Himley continued to build their reply, Dom Taylor (30) and Steve Newman (47 not out) couldn’t quite steer Himley home, which it must be said in failing light finishing on 116 for 4 after their 15 overs. On the bottom ground Himley batted first plundering runs off the Modern School attack, Jordan Whitehouse retiring on 50 (not out). Himley didn’t have things their own way with A. Aryan the pick of Modern School’s bowlers, finishing with 3 for 35. Good knocks from Kris Green (42 not out) and Luis Abbs 35 saw Himley total 170 for 4 off their 15 overs. Modern School’s reply was not quite as explosive with controlled bowling from Ned Buckley picking up a wicket for only 7 runs. Two run outs did not help Modern School’s cause, with some fine fielding and two wickets for Jack Lewis kept Modern School to 107 for 6 off their 15 overs. Two great games and new friendships forged, trophies were presented by Himley Cricket Club President Joe Brandrick and first team player Wasim Jaffer. 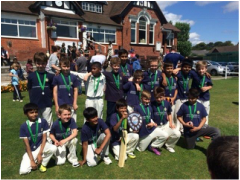 ​Himley Cricket Club are delighted in welcoming touring Modern School Cricket Club from New Delhi, India to their Stourbridge Road cricket ground on Thursday 2nd July. Modern School will feature two sides at U13 and U17 and will play Himley's sides at the same age level. 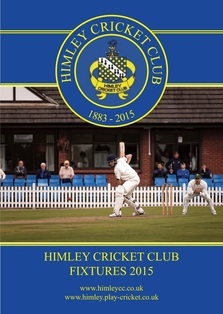 The matches start at 6pm and will be played on Himley's top and bottom cricket squares. ​Himley are concentrating on building the girls / ladies section, running teams at Under 11, 13 and a combined U15 / ladies team. In order to ensure high quality coaching and more resources the club are moving girls / ladies training to a dedicated Monday night 6.00pm to 7.30pm which coach, Mark Bennett will be running. Anybody interested in attending the sessions should contact the club via the website. Himley are running teams at all ages this year but are once again are actively recruiting school years 4, 5, 6 and 8. If you hear of anyone who is interested please bring them along. We urgently want to get more parents involved in the club and we are looking for coaches (we will help you qualify) team managers and administrators if you can spare a few hours please get in touch . Himley Cricket Club are delighted to confirm the return of Wasim Jaffer as their overseas player, plus the signings of two exciting youngsters, Mikesh Patel and Will Fraine, for the 2015 season. 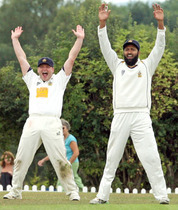 A delighted Club Captain, Greg Wright, said: "Wasim had a fantastic year for Himley in 2011, amassing 773 runs in j﻿ust 17 league games. As soon as the club were made aware that Wolves weren't retaining him, it seemed a perfect opportunity to re-recruit. It also allows us to rebuild the side, which is looking very youthful, around a high quality player." The Indian International is joined by Patel﻿ - an accurate seamer - and Fraine - a hard hitting top order batter - who are both on Worcestershire's radar. Wright added: “The new arrivals have replaced Sergio Fedee (overseas player), Nick Harrison and Nathan Round. We wish those guys moving on all the best for the future and thank them for their positive contributions during their time at the club. Everyone at the club hopes Mikesh & Will have a long and enjoyable stay with us. They're young guys learning the game and I've no doubt they'll develop in to excellent long term signings for us." The club are also on the lookout for a Support Coach / Analyst to assist on 1st XI match days and training nights. Please contact Greg Wright (gregwright03@yahoo.co.uk) for more information about this role. 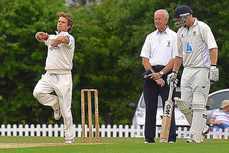 Himley are also keen to hear for any senior players of varied abilities who are interested in playing cricket. The Club run five senior teams on Saturdays playing in the Birmingham Premier, Worcester and Staffordshire Cricket Leagues, plus 2 senior sides on Sundays playing in the Worcester Sunday leagues. Senior winter practise net sessions start Thursday 4th February at 8pm at the Dudley Evolve Centre – all are welcome. Please see below, details of the 2015 junior Indoor Winter Nets programme. The cost remains the same as last year, £60 for the programme. We are expecting demand to be high for these sessions and numbers are limited, so book early to avoid disappointment. Senior players winter practise net sessions start Thursday 5th February at 8.30pm at the Dudley Evolve Centre. The session will run every Thursday until Thursday 26th March.